Srinagar, Aug 25 (KNS): The Jammu and Kashmir Chief Electoral Officer Saturday said the State Election Commission is preparing to hold the Municipal elections and that all the stakeholders of the government are working together to conduct these elections in a peaceful and fair manner. “We are preparing to hold the municipal elections. These Urban Local Body elections will be held on party basis. 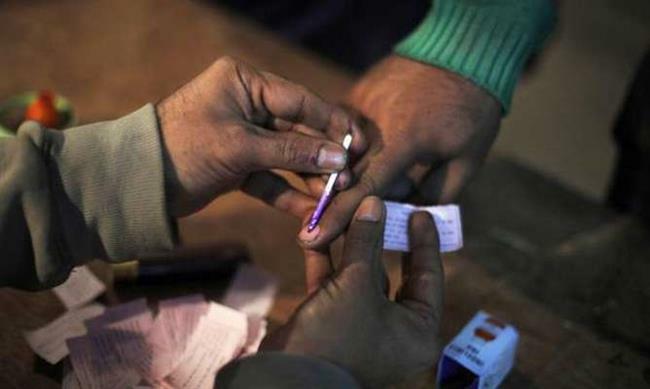 However, the same yardstick will not be applied for Panchayat polls, which will take place on non-party basis,” J&K Chief Electoral Officer Shaleen Kabra told KNS over phone. When asked about the schedule of these polls, the CEO said that within few days all will be cleared. Regarding the security arrangements, he said that all the stakeholders of the government are working to conduct these elections in a peaceful manner. “The security concerns will be taken care of,” the CEO maintained. Meanwhile sources told KNS that the authorities are selectively clubbing the highly volatile constituencies in the Kashmir Valley with peaceful ones from the Jammu region and the border districts to finalise the urban local bodies polls in J&K. A top official told KNS that the situation in the State warranted 'a calibrated' approach to hold the much-awaited polls for urban local bodies and panchayats, as all major regional parties still find it hard to hold any public activity in the Kashmir Valley, especially in south Kashmir. Both the civil administration and the security agencies have identified the Jammu region and the border districts in Kashmir Valley like Karnah, Uri and Gurez as “peaceful constituencies” for the polls. “Such constituencies will be the first to go to the polls in the multi-phase,” said another official.